We’d love your help. Let us know what’s wrong with this preview of Aunt Amelia by Rebecca Cobb. Packed with wit and charm, a warm and funny new story from the illustrator of The Paper Dolls. 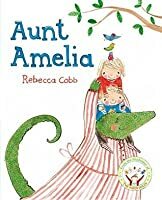 To ask other readers questions about Aunt Amelia, please sign up. Teach your child to throw a house party when you go away for the weekend! This was a fun book to read. The aunt (babysitter) breaks every rule that the parents gave and the kids had a blast! The escapades that they get into together is a fun read. This is a book which some children could relate to. Mum and Dad are off out and leaving a relative to look after them. But Aunt Amelia is nothing like they expected and the list of rules mum and dad give her, are not followed to the letter!!!!! And guess what, they all what her to look after them again!!! Aunt Amelia is a composite of both my children's grandmothers. I love her. Pair with Mr and Mrs Pig's Evening Out to really freak your kids out. This would be an interesting book to read with children, you could first read the book with children without showing them the pictures and then a second time through with the pictures. I think that children will really enjoy this book and the illustrations are fantastic. Mum and Dad are going out and the children are not happy. Mum has left a long list of instructions for Aunt Amelia. Thankfully Aunt Amelia is not what they expected. A funny and warm story. Aunt Amelia comes to look after 2 children and doesn't quite follow the exact instructions on how to care for them. Cobb, R. (2013). Aunt Amelia. London: Macmillan Children's Books. On obeying the letter of the law, but not its spirit. 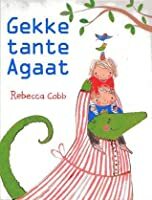 Rebecca Cobb has illustrated several picture books, including The Paper Dolls by Julia Donaldson. She has been short-listed for the Kate Greenaway Medal twice. She lives in England.